We'd love to hear from you both good and bad. If you're happy our team would appreciate the feedback. If you're not then please give us the chance to fix things or arrange a refund. 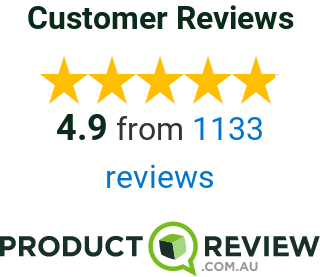 Leave us a review on productreview.com.au and let us know about your in-store experience.